Ultrasonic – 120 emitters; Acoustic suppression. GSM 900, GSM 1800, 3G 2100, GPS 1500, Wi-Fi 2400, Bluetooth 2400-2468 MHz, Video recorders 1200, LTE 4G Mobile 850, LTE 4G 2500, LTE 4G 2620-2690. 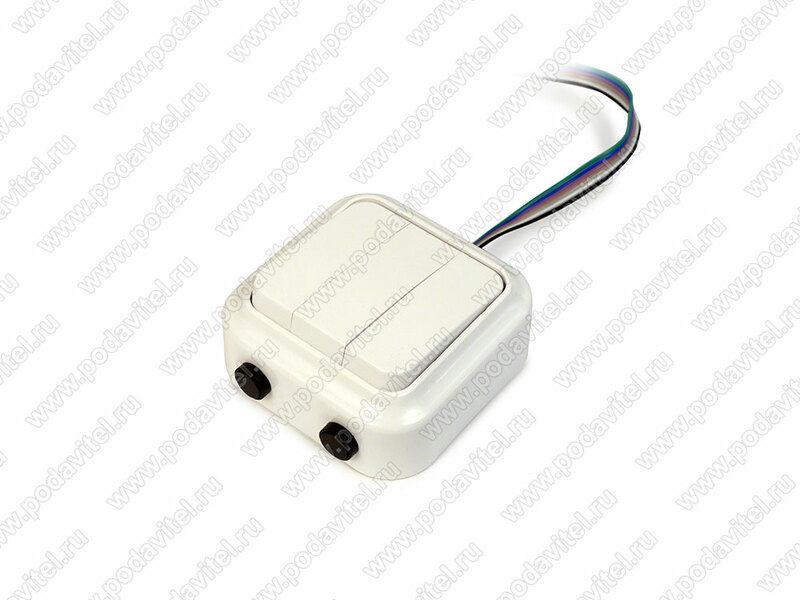 «Ultrasonic 120 Phantom» - aimed to secure your meeting room or any large indoor space from recording or transmitting information by jamming voice recording devices, mobile communication and internet. Ultrasound affects sensitive microphone membrane of all modern smartphones (Apple, Samsung etc.) and EDIC-mini Tiny microphones, which makes voice recording impossible. Low frequency “Voice Chorus” acoustic suppression. On the record would sound like a multiple voice choir making it incomprehensible. The unit is equipped with 10 frequency suppressor, able to jam data transmission via phone calls, sms messages, and most common communication standards - 3G/4GLTE/4Gmobile. Combined protection mode. Using both types of protection – jamming recording and data transmission, provides your negotiations or talks with maximum security. 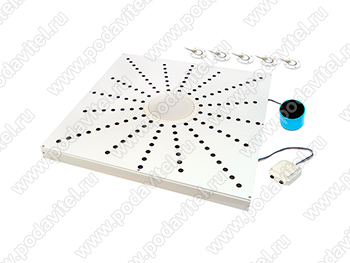 This unit is able to protect from laser microphones that can read or pick up the information through the window. We mangled to solve this issue with vibroacoustic emitters which are able to block information leakage through the window. 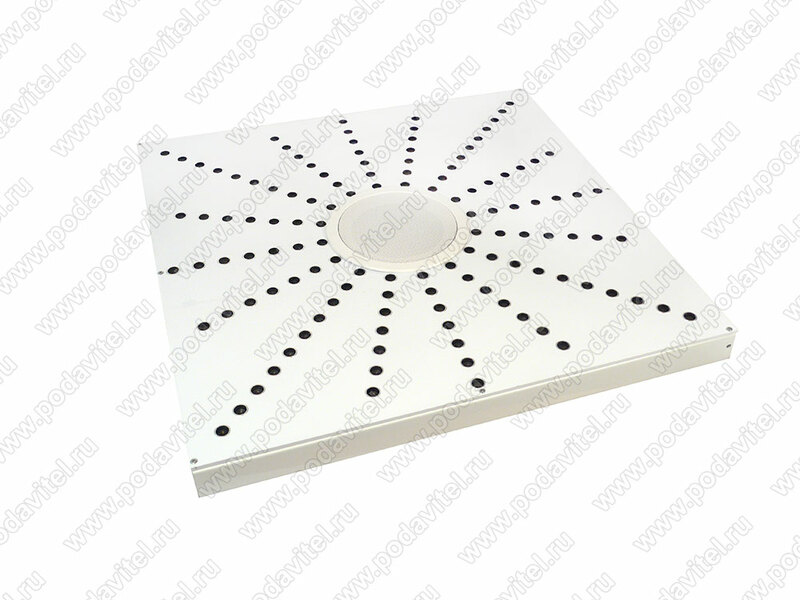 Designed after Armstrong type 600x600 (millimeter) ceiling panel, with 120 built-in ultrasonic emitters 90dB each. 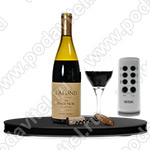 Can be installed into the ceiling, right above the place or table, where you hold negotiations. 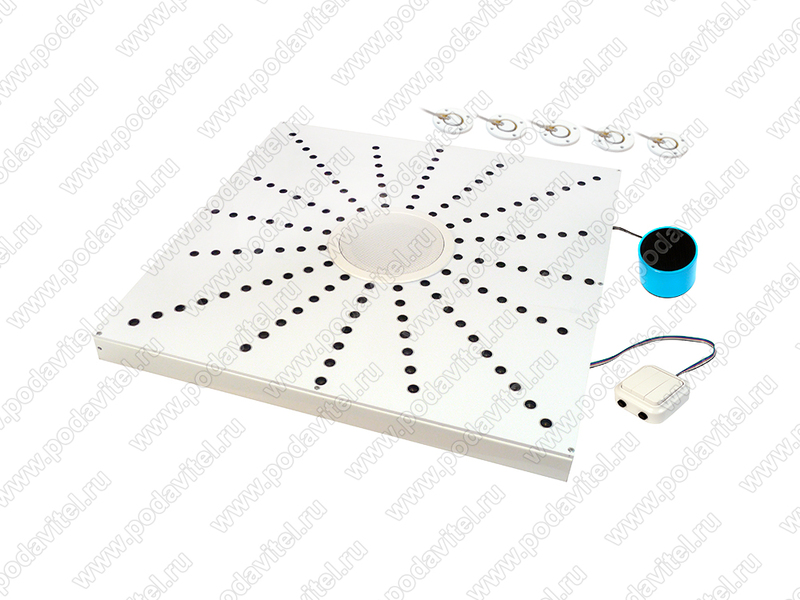 Due to its position and celling panel look it won’t drag much of attention. Protection against laser microphones. Vibroacoustic protection mounted on the window will protect your information from reading through the windows by laser microphones and laser stethoscopes. 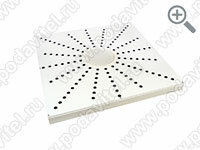 Space between panels and main ceiling is also protected from hidden microphones and recording devices by acoustic interference. Superpowerfull ultrasonic radiation. 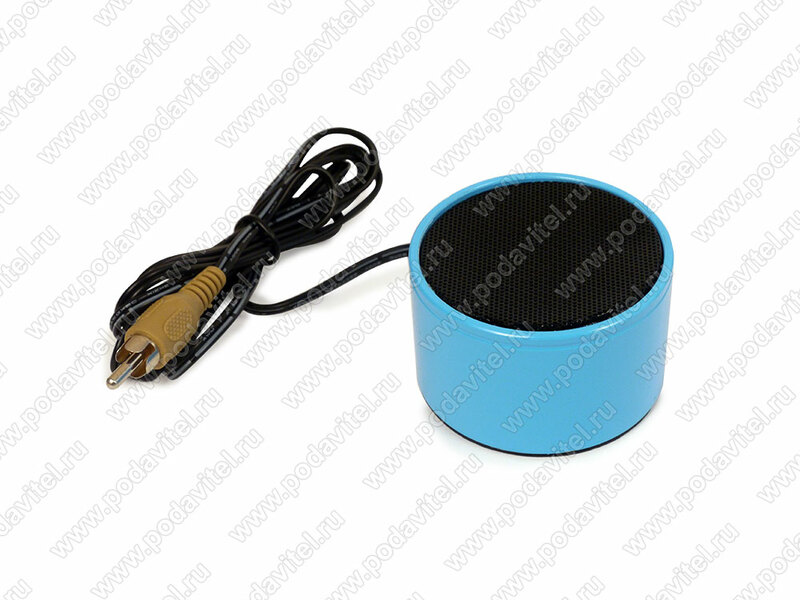 120 ultrasonic emitters with different frequency and power ( up to 90dB) , influence on voice recording device’s sensitive microphone membrane. Due to this feature you will have large space fully protected from recording. We produce every unit according to the features/size etc. of the room, provided by our customers. This way we achieve full security of the particular room. Low frequency acoustic radiation creates noise background, making any recorded sound incomprehensible. 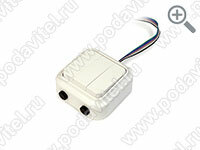 As well as other protection modes - can be adjusted by using remote control panel. Remote control panel. Allows to choose one of three modes of protection on activate all 3 at the same time, as well as to adjust acoustic mode volume. Acoustic suppression adjustable volume. To create comfortable environment for negotiations process. 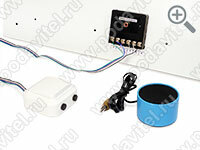 Voice recorder and mobile communication jammer «Ultrasonic 120 Phantom» meant to be installed into ceiling of a meeting/conference room, replacing one of standard 60x60cm ceiling panel. To provide maximum security the jammer should be installed right above the negotiations table. 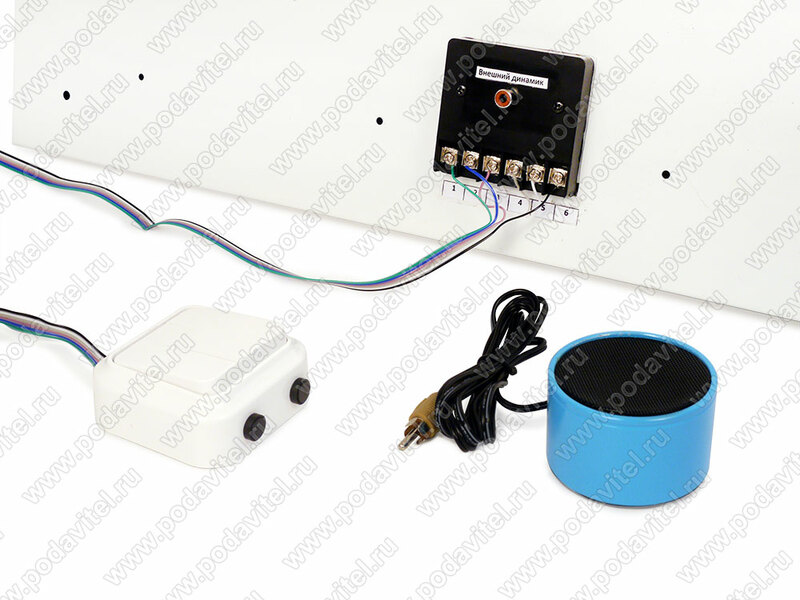 Voice recorder and mobile communication jammer works as a directional ultrasonic radiator, which interferes with sensitive membrane of voice recording devices. Acoustic suppression works as an additional protection mode. Despite voice recording protection, the jammer blocks wireless communication data transmission.